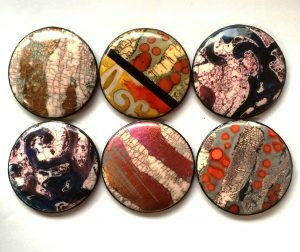 3 day polymer clay workshop at the 4 star Mercure Holland House Hotel and Spa, Redcliffe Hill, Bristol, BS1 6SQ, UK on 8th-10th March 2019 (and possibly again on 12th-14th March 2019 – see below). 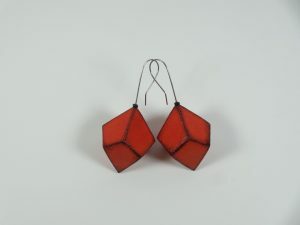 These earrings are interesting by their geometrical shape with very sharp edges and by the fact that they are so light because they are hollow. The unusual construction process is done in a unique step with a single baking in the oven. Once they are baked, students will roughly sand the diamonds in order to make those edges as sharp as possible. 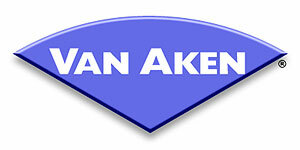 Decorations and colour will be added with a brand new product from Van Aken enabling to highlight the shape and add some visual interest. Colour and decorations will be set with the heat-gun. 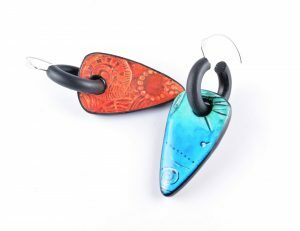 The final point will be to insert and set the hand made stainless steel earring findings in the hollow shape. 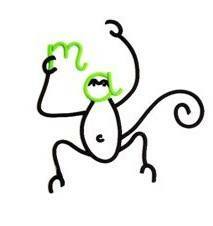 We can’t wait to see the brand new product!!!! 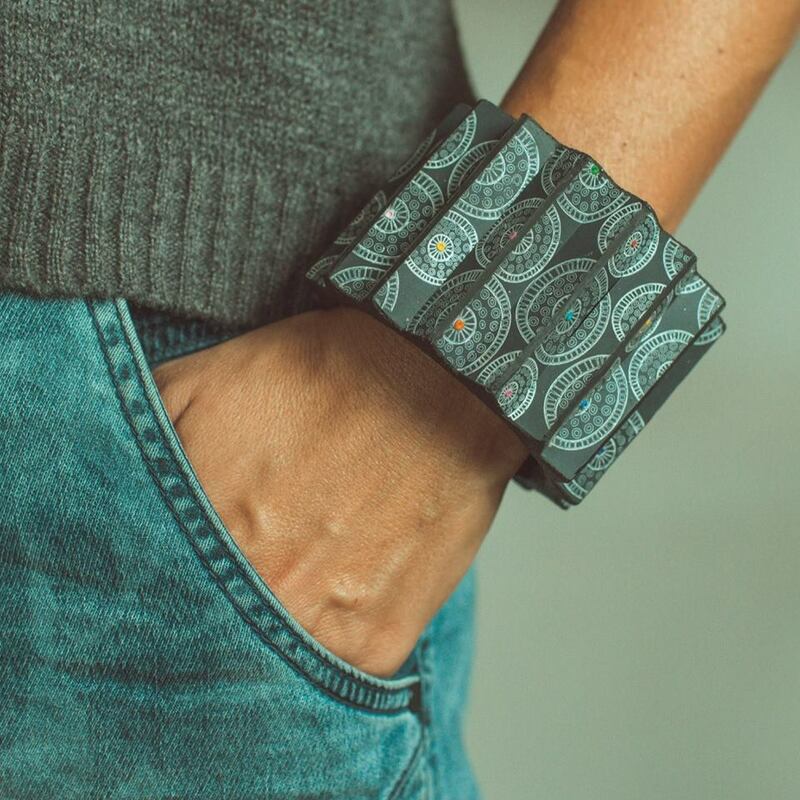 I like to create reversible jewellery that can be adapted to the outfits I wear. 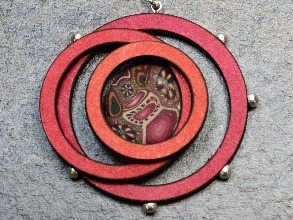 What is quite simple to achieve for a necklace is more difficult for earrings. 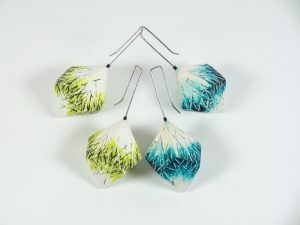 So I looked for a simple way to create these reversible earrings. This one-day project is very complete. 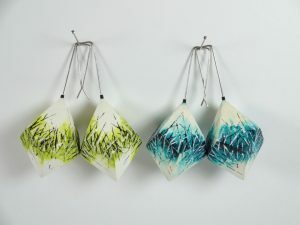 You will discover and experiment 2 coloured and playful surface treatments where inks, pastels and acrylic paints are used. 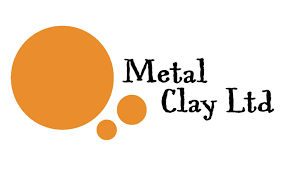 You will also mix the engraving on raw clay as well as on baked clay. 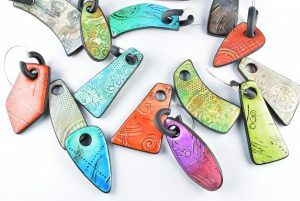 You will see how to make a very easy and fast glossy finish whose result is close to the effect of the resin. 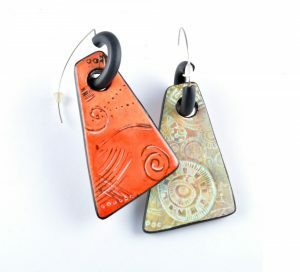 You will create a simple but innovative polymer clay hoop earring that makes it easy to change the pendant either to turn it over or to place another form of pendant. Crackle, crackle and more crackle! Double crackle is totally “in” and we’re going to fully explore the wonders of double crackle in this exciting and fun-filled workshop. 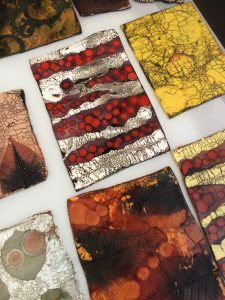 We’ll create a range of different crackle veneers using alcohol inks and mixed media and will then team these with a very cool “crocodile crackle”. I’ll share lots of additional tips and tricks on the day. 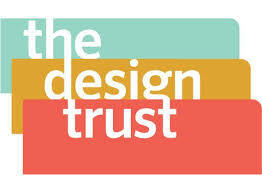 Our workshop will be project specific but those who want to follow their own creative journey are encouraged to do so. A huge thank you to the following companies who support the Polymania event! The price for this event is £340 per person. Included in the price are 3 full day workshops, one with Debbie Crothers, one with Olga Nicolas and one with Sylvie Peraud. There will be a range of refreshments available throughout each day and a hot and cold 3 course buffet lunch which will be served in the hotel restaurant so we don’t get crumbs on our clay! 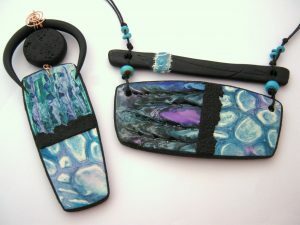 Polymer clay for the workshops is again being generously provided again by Decoman. The Mercure Holland House Hotel and Spa is a lovely hotel not far from the centre of Bristol. It is a 10 minute walk from the Bristol Temple Meads railway station and the airport bus stops just around the corner on Redcliffe Way. We will have access to the event suite until 11pm each night for those of you who want to carry on after the teaching has finished! There is free wi-fi throughout the hotel. Registration will be between 9am and 9:30am on Friday 8th March. Teaching will finish at about 6pm each day. There will be a social on Thursday evening for anyone who is arriving then. We will have a swap on Friday evening and on Saturday night there will be a group meal. There will be a teachers sale during the event. 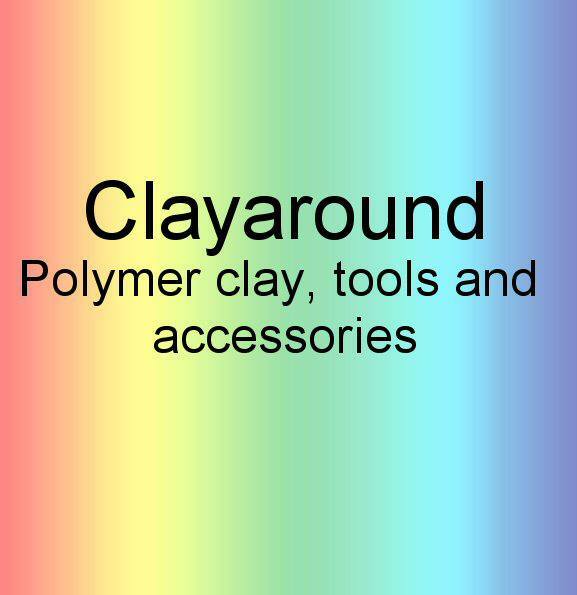 It should be a great weekend full of fun and lots of polymer clay ! Polymania UK 2019 is now full but if you are interested in coming please fill out the waiting list form in case any places become available (which they always do). If you would like to attend Polymania UK 2019 but were unable to book a place you can fill in this form. If we should get any cancellations and a place become available we will let you know. If there is enough interest we may run a second event. It's useful if you give a phone number so we can contact you should a last minute place become available. Polymania UK 2018 will take place at the Mercure Holland House hotel in Bristol, UK from the 8th-10th March 2019. This three day event includes three full day workshops, one with Sylvie Peraud, one with Olga Nicolas and one with Debbie Crothers. Included in the price are refreshments throughout the day and a hot and cold three course buffet lunch on each of the workshop days. The price of the workshop should a place become available is £340 Please note accommodation is not included, we have a special rate available with the hotel until January 2019 - after this time it will be whatever the going rate is for a room. If the person who cancels has booked a room we may be able to arrange to transfer this to you. Once your form has been received you will be added to the waiting list. If someone cancels and a place becomes available we will invite you to fill in a full booking form. If you tick you may be able to come at the last minute we may call you if someone cancels at the very last minute - just in case. If we offer you a place and you are now unable to come - no problem we will ask the next person on the list instead just let as know as soon as you can.